Location: the sixth center of force, Ajna Chakra is located on the physical level in the space in between the eyebrows, at the middle distance. It is also named “the third eye” or “Shiva‘s eye”. Ajna Chakra represents the superior mental consciousness, which allows the direct perception of the invisible worlds and the direct perception of the subtler aspects of the manifested universe. On the physical level: it coordinates the activity of the pituitary gland (hypophisis) and of the cerebellum. The hypophysis has a vital role in the sense that together with the hypothalamus it constitutes the command system of the rest of endocrine glands. On a psychic level, it controls the superior intuition, clairvoyance, the capacity to anticipate certain events, the instantaneous capacity of perceiving all the qualities of any human being, the extra-sensorial perceptions. Specific reactions in the case of the harmonious activation of Ajna Chakra: the harmonious activation of Ajna Chakra grants mental insight, telepathic capacities, self-control, mental understanding through intellectual identification, creative intelligence. Ajna Chakra harmoniously activated grants the state of unity, of communion with the cosmic laws, of non-identity with the physical body and identification with its spiritual nature. The mental center of command, the center of brilliant intuitive, spiritual knowledge, Ajna Chakra is one of the three superior centers of force. 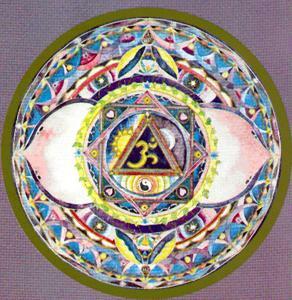 As we mentioned in our previous articles, Anahata charka, the fourth center of force corresponding to empathic experiences, affective of love and universal compassion, marks the point of jointure between the first three centers of force (connected to survival, group, communication, and interrelationships, sexuality and will-related processes) and the energies Vishuddha Chakra corresponds, both physiologically and psychically to the process of nourishment, the stage of obtaining a state of superior receptivity, an opening of the soul towards the divine inspirations. At this level occurs an inner enrichment through the access to the superior worlds of the universe. The following stage leads the human being to the most refined and elevated inner perceptions, through the awakening, enhancement and control of the mental energies. Ajna Chakra represents for us the third eye oriented both towards our inner universe, and towards the subtle aspects and mental of the world, to the direct perception of the parallel universes. In the yogic tradition, Ajna Chakra is considered the center of the spiritual perception. The gradual awakening and the opening of the inner vision on this level means in fact the access to certain superior levels of consciousness that we each have potentially, latently, but which we cannot even imagine. The systematic access to these superior levels of consciousness equals evading every day from the limits of the ephemereal daily relaity. Moreover, this means evading from the limited concepts of the consciousness that is mainly focused on experiences and phenomena in which we realize we are one with the Infinite. All these mean also surpassing the barrier of time, space and causality, which are apparently inexorable. In the traditional yogic view, the role of Ajna Chakra as the inner eye is preponderantly manifested as the harmonious integration of the being in the universe. Ajna Chakra is a focal point of emission-reception of energies, ideas, thoughts, mental structure through which we can conceive and understand coherently the subtle mental universe exterior to our being, its characteristic energies, helping us govern “our inner universe”. Just as the physical eyes help us establish certain rapports with the exterior things and phenomena analogically Ajna Chakra facilitates and puts our rapports with things, entities and phenomena characteristic to mental and astral subtle manifestations. The person who knows how to focus on Ajna Chakra, the space located in the middle of the forehead, gains through this focus a new perspective on the principles and concepts of time, space and causality. The inner focus on Ajna Chakra leads the human being to an extraordinary evolution level in which the apparently disparate multiplicity of events and phenomena can be simultaneously perceived in a harmonious, perfectly integrated vision. The superior, ideal state that characterizes this center of force is an awakening of the consciousness on a level of deep intuition and understanding. The real opening of the third eye equals the combination of analysis and discrimination, characterizing the right hemisphere with the opening and direct access to the intuitive world, characterizing the left hemisphere. This means ending both the sterile intellectualization and the superstition of fantasist “premonitions”. 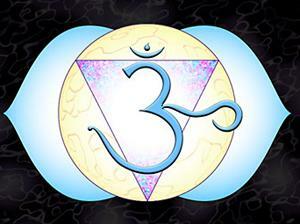 The awakening of Ajna Chakra is the harmonious union of these two ways of knowledge into one. On the path of spiritual evolution, the devotee who aspires to the supreme perfection will gradually go through various mental levels, identified by the great yogis as follows: ordinary mental, superior mental, illuminated mental, intuitive mental and supra-mental. These different levels correspond to deeper and deeper awakenings of the consciousness and to the access to increasingly elevated levels. From a fragmented vision of reality, one can reach gradually a sublime overall view. On this superior level, there is a inflaming state of enthusiasm and happiness, accompanied by a spontaneous blossoming of the creative capacities. In this respect, it is known the fact that the awakening and harmony of Ajna Chakra leads to the control of the sexual energies corresponding to the second center of force, Svadhishthana Chakra. 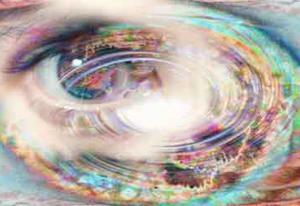 The vision corresponding to the sixth center of force is global, unifying, and divine. The person reaching this high level of consciousness considers the phenomena, thins and creatures not only in their surface, but in the same time comprises their essence, considering them from the real center. “Each time I try to describe the spiritual states and visions I experience when I pass this place (Vishuddha Chakra), as soon as I think about these visions, my mind seems to evaporate into the infinite and makes any description of this level impossible. However, in the case in which a certain person reaches the level of consciousness of Ajna Chakra, focusing there, then this person has the direct knowledge of the Supreme Self Atman. For this person, there is only a transparent veil, like silk. Genius – gift inherited from a previous existence, exceptional creative mental capacity in a field. In antiquity, genius usually referred, as Socrates confesses before the Athenian court, to that inner voice that guides the existential trajectory of special people. Later, genius referred to the unique vocation in performing certain works of art, works that are under the sign of perfection, competing with the perfection of nature itself. The works of Mr. Kant include the term genius in this sense of the word. It usually designates the highest degree of natural endowment, with spontaneity, fantasy, intelligence, capacity of understanding the deep sense of the world, self-giving, sensitivity, intuition and so on. Intelligence – term that characterizes the insight and the characteristic function of the mind to quickly establish connections between various aspects of the manifestation. This is also what the etymology of the word “intelligence” suggests: “inter-legere”, uniting two senses, that of discriminating and that of connecting. Self-control: the mechanism and the mental capacity of following one’s own behavior, especially of one’s impulsive reactions, and to ponder, change or stop these reactions, and to come back to normal. Self-control is a fundamental aspect of yoga. Self-observation: superior trait of the consciousness through which the human being follows more or less systematic the development of one’s own personality. It needs to be directed upon both spiritual ideas and experiences, as well as upon the complex effects deriving from them. Objectivity, self-criticism and increased exigency are necessary conditions to turn the self-observation into an effective means of self-education in the yogic practice. Introspection: view or perception oriented towards the interior, towards one’s own states and inner experiences. 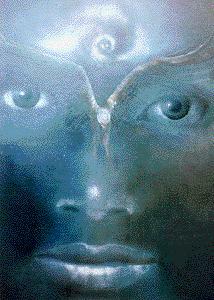 Above all, this term defines a real, genuine phenomenon or dimension of the psychic. In the perception of the object is also included the self-perception of the observer. In the knowledge of the world is also implied the knowledge of one’s self. The self-awareness and the awareness of the world are impossible to be separated. The inner experiences reunite the inner part of one’s being with the outer part. Introspection is an important method in yoga, because with it one becomes aware of, and can examine and describe one’s own mental and spiritual inner experiences. 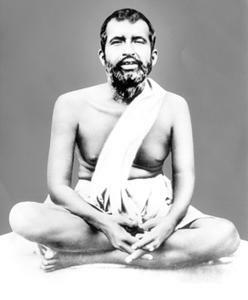 Through superior introspection, the human being can reach easier the revelation of the Supreme Self Atman.